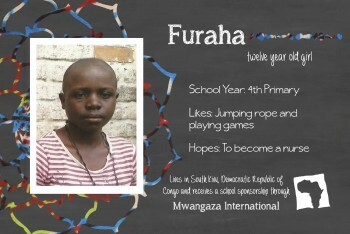 Furaha is a sweet 12 year old little girl who likes playing games and jumping rope. She has hopes to grow up and one day become a teacher. Please fill out the form below to make a $30 monthly donation to Furaha.